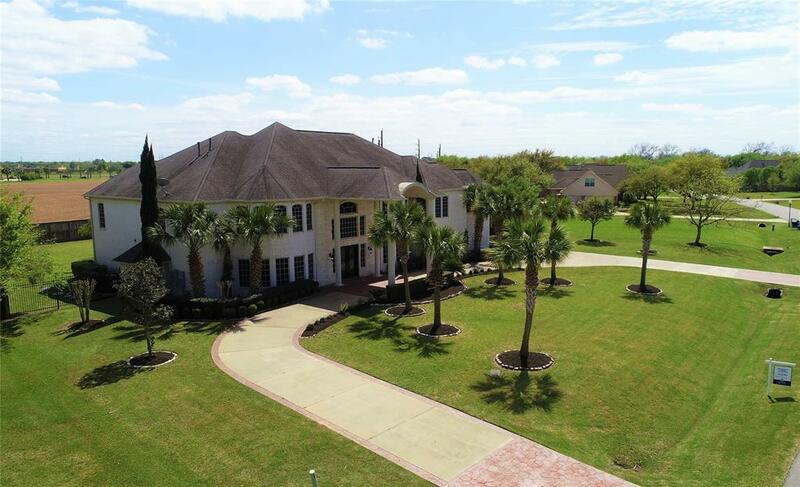 Grand Estate custom built home located in highly desired & private gated community of Texana Plantation. Home present itself as 7 bedrooms 5.5 bathroom stately abode with oversize study, double spiral stair case, mosaic tile at foyer, high ceilings & beautiful stone finishes. 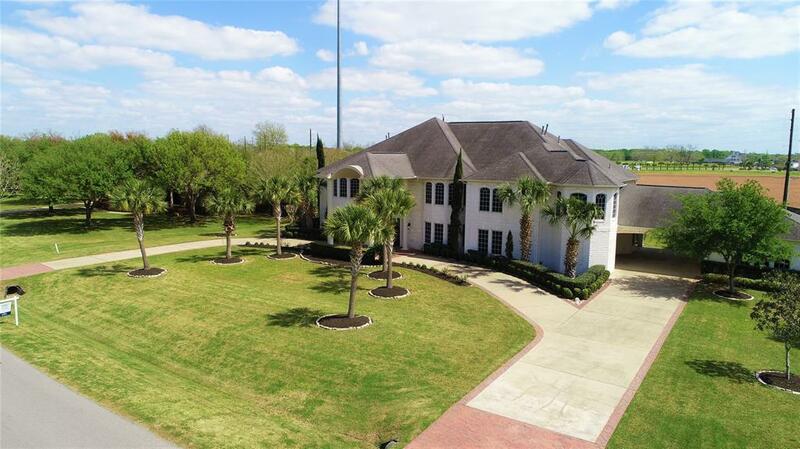 Seller spared no expense building this stately home with 2 bedrooms down, formal living and family room separate, beautiful engineered wood floors, stainless steel appliances, imported granite counters, extra storage spaces, beautiful tile entry & trey ceilings. As you drive up on the curricular driveway beautiful double door entry welcomes you to your new home. 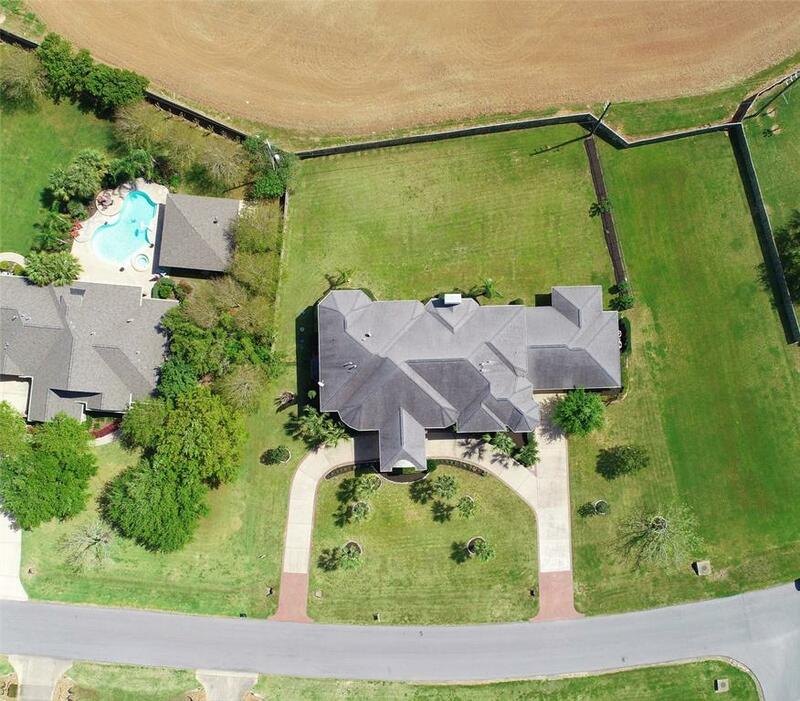 3 car detached oversize garage with backyard to add a future beautiful pool. Home have 2 separate stairways, oversize game room and man cave for your future endeavors. Beautiful balcony & extended covered patio to enjoy evening shades & drinks. This stately home is built on higher elevation and did not flood during the hurricane season. View Virtual Tour!